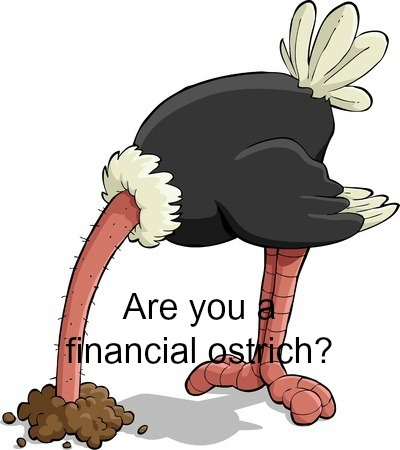 Debt Free, Cashed Up and Laughing - The Cheapskates way to living the good life: Are You a Financial Ostrich? If you ignore your finances in the hope that they will manage themselves, don't! They won't and all you end up with is a huge mess, a potential pile of debt you'll spend years repaying and a whole lot of stress. Don't ignore a bill because you're afraid of what it says, that is a sure-fire way to get into serious financial trouble. Don't believe the myth that most people live pay to pay, getting further and further into debt. Don't believe the myth that you must live on credit to survive. And don't believe that the financial mess will one day magically disappear, leaving you to live happily ever after. Always read your bank statements, your credit card statements and every bill that comes into your home. Compare them to the previous bills, check for inconsistencies or errors and deal with them immediately. A few minutes at the time will save you a lot of money, lot of stress and a lot of time. Another tip...If you can't pay a bill by the due date, DO contact the biller. They may give you an extension and/or waive any late fees. 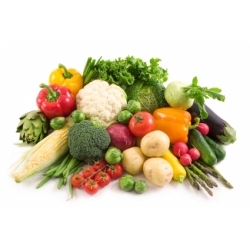 Many businesses are far more amenable to this than many people realise.